Do you own BTC and Gold? 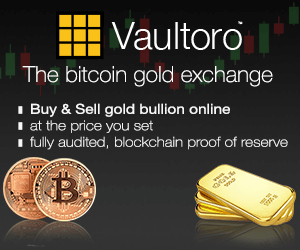 This Swiss based BTC-Gold trading exchange makes it easy to have both in the same place and trade in seconds. Their service is great and the platform works extremely well. And you can get a finders fee for referrals, that's a win-win for everyone who still hasn't taken the appropriate steps to protect themselves ! Thanks, following you bro ! Congratulations @stevenmaiso! You have received a personal award!